The weather station is realized with high accuracy digital sensors connected directly to the Raspberry Pi microcomputer. Raspberry Pi has a GPIO (General Purpose Input Output) port where the sensors are connected on. The internal sensors are in the same room of the Raspberry Pi, the external sensors are out to my terrace connected via a Category 6 Ethernet cable which has a length of 15 meters. Another only temperature sensor is in the bedroom connected via a 10 meters twisted pair. Based on my experience with the Raspberry Pi I have tested various sensors from various brands: Sensirion SHT71, Texas Instruments TMP275, Maxim DS18B20, Maxim DS7505, Maxim MAX31826, Texas Instruments LM92, Analog Devices ADT7410, Aosong DHT22 and Bosch Sensortec BMP085. The sensors use various digital protocols, such as I²C (also known as I2C), 1-Wire, Sbus, etc. The values from sensors are acquired every 60 seconds from made by me shell scripts (with errors control) that writes into text files the information and are published in this website with a PHP page. The reason I chose the TMP275 and MAX31826 as temperature sensors and the Sensirion SHT71 as humidity sensor is due to them really high precision! 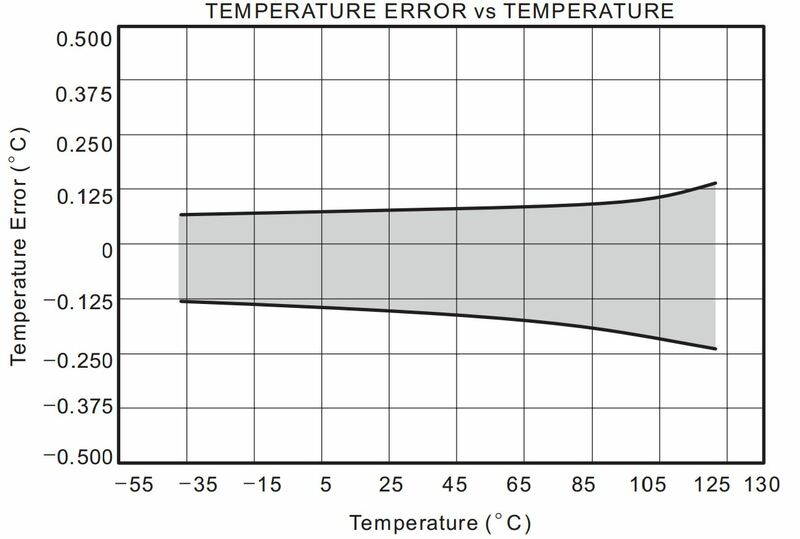 See the TMP275 error vs temperature. 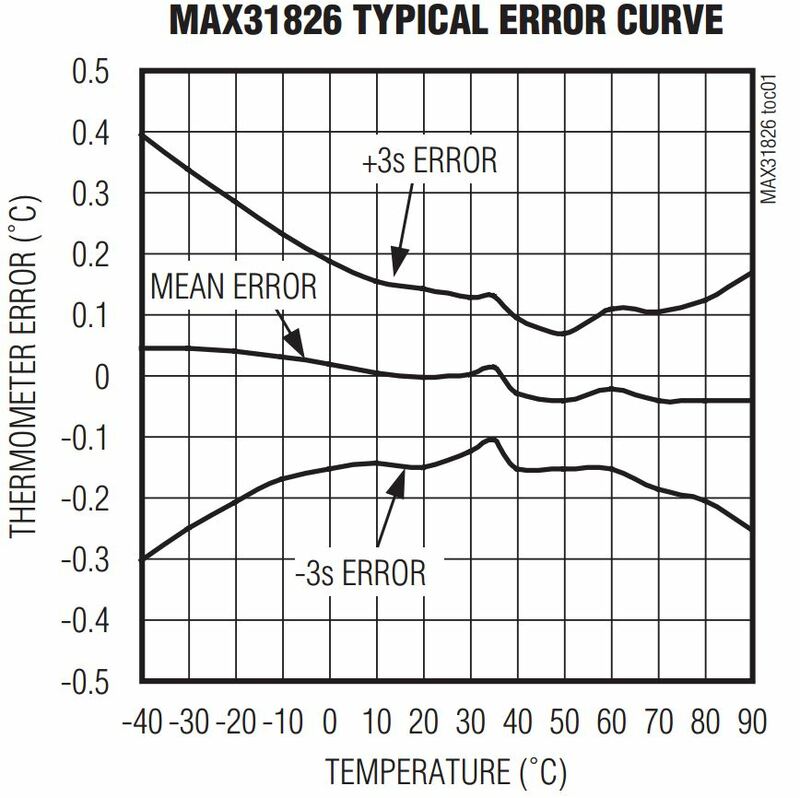 See the MAX31826 error vs temperature. As you can see, the temperature error is always less than ±0.2 °C!! 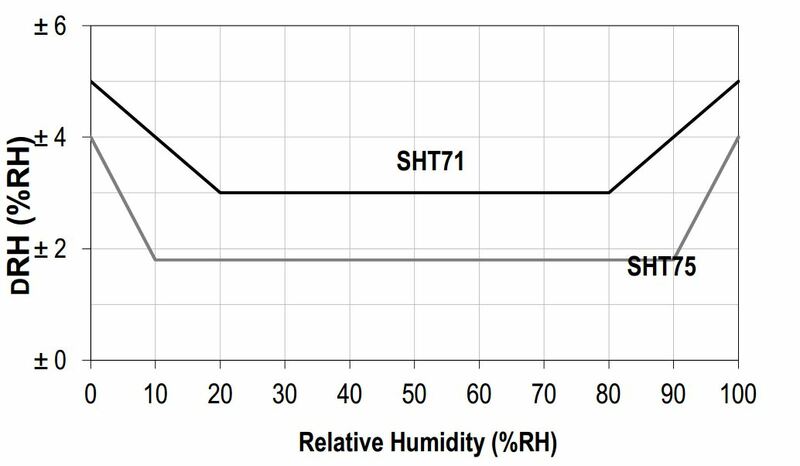 See the SHT71 error vs humidity. As you can see, the humidity error is always less than ±3.0%! Only the SHT75 is more precise but it's much expensive. The sensors values are published also on Xively website (ex Cosm) here, the update here is every 10 minutes.